Thanks, OP! I especially appreciate the Upcoming 3DS Games Section. I was thinking of adding a Hope We Get It Here section for titles like Bravely Second, Legend of Legacy and Final Fantasy Explorers. I approve this thread...hope to see some good deals in the future. I believe that's Spring 2015. Gold star for the new thread! The song of time won't take us back that far. 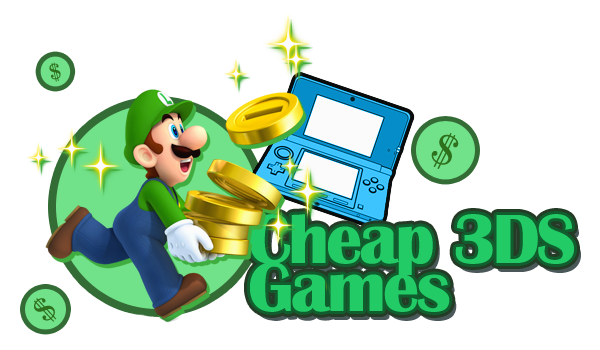 I'm in the market for 3DS games and I really like this one-stop glance at 3DS Deals. nice. thx for the new thread. Has anyone tried the new Batman game? Is it a fun/good game (at any price point)? NIIIIIIIIIIIIIIIIIIIIIIICE. I didn't even know there was a 1.0 thread though. Awww dang, I briefly thought CLE stood for "Collector's Limited Edition." I'll follow anyway, thanks OP! Made an image for the first post of the thread, if you want to use it. Was bored. Always tend to not do used games unless it's super cheap due to the fact that can't guarentee they are all in the same condition. Steel Diver is at Gamestop for 2.99. The Steel Diver that somehow ended up installed on my 3DS-XL, is that not the complete game? I found the Regular Show game at a Five Below for, you guessed it, five bux. It was the only one they had, but they had plenty of Aliens: Colonial Marines for PS3! My most anticipated game this year is Code Name Steam, out March 13th. Has anyone seen standard edition Persona Q for less than $40? Came here to give a kudos to the thread image. Nice! There's two Steel Diver games. One's a launch title for 3DS that I was referring to. Another came out last year as a digital only title. Steel Diver Sub Wars I think is what it's called. Lego batman 3 worth it at 8$, considering GCU? How much are the handheld versions missing compared to the console versions? Yaaay, I missed this thread! Thanks for the thread. I'll be stopping in as new owner of a 3DS.